KALDEWEI, Ahlen, March 2019. – “Design at its Best” – The new variety and unique aesthetics of the Kaldewei Nexsys shower surface offers many benefits. One shower tray in 17 colours and 20 dimensions, with three surface finishes and five stylish design covers offers around 5,000 possible combinations for individual bathroom design. The Kaldewei Nexsys combines the best of two worlds – all the advantages of an enamelled shower surface with the modern design of a shower channel. 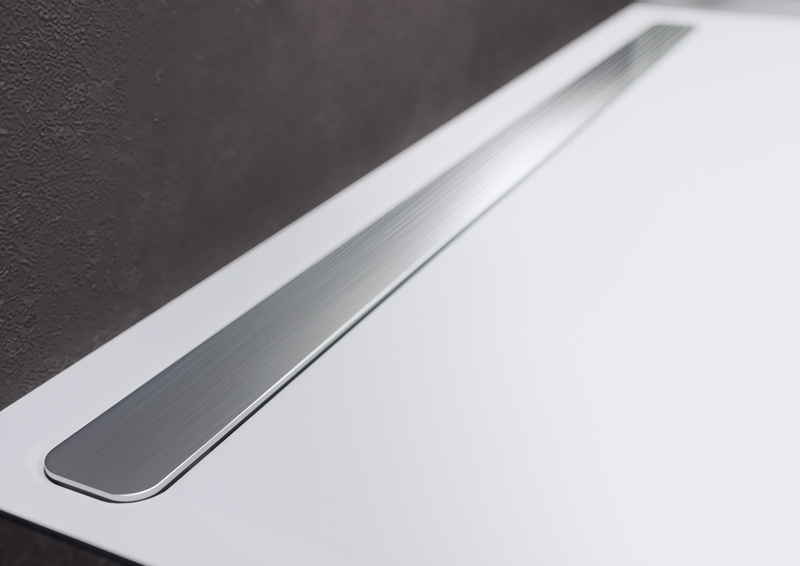 A characteristic design feature of the Nexsys is its narrow waste channel with a minimalist look that fits almost seamlessly into the enamelled shower surface. 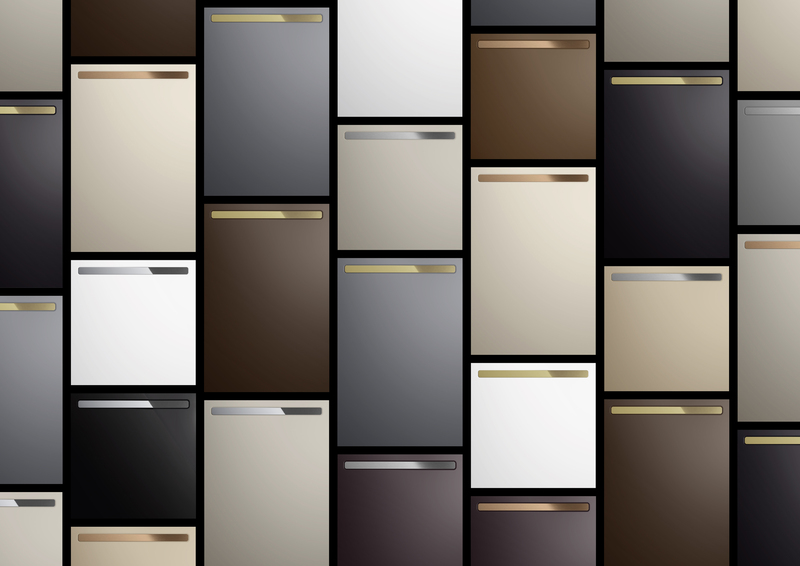 Four new surface colours for the high-end design cover accentuate the aesthetic appeal and quality of the exclusive waste channel made of Kaldewei steel enamel. As well as brushed stainless steel, the cover will now also be available in polished stainless steel, polished gold, brushed rose gold and alpine white. Flexibility and individuality are key criteria for architects and planners in product selection. Bathroom planning today, requires solutions that allow personal preferences to be reflected even in difficult spatial situations. Kaldewei has now extended its Nexsys range of revolutionary bathroom solutions to include 12 new sizes ranging from 80cm to 170cm, increasing the total to now 20 dimensions. Small formats are optimal in bathrooms with limited space or complex layouts. Large sizes in XXL format integrate perfectly into the bathroom’s tile grid. With 16 new shades, the Kaldewei Nexsys comes in an impressive variety of colours: Four popular bathroom colours and 12 exclusive matt shades from the Coordinated Colours Collection, offering an even wider choice. Customers can now choose whether to integrate the enamelled shower surface harmoniously with the overall bathroom design or set it off as a centrepiece. The surface can be supplied with optional easy-clean finish for added convenience. All 12 matt shades can be provided with the virtually invisible Kaldewei Secure Plus anti-slip finish – for maximum safety and comfort in the shower. The factory pre-assembled 4-in-1 system consists of a waste channel, sloping support, sealing system and Nexsys shower surface enabling ultra simple and fast installation by professionals. Sound proofing is guaranteed with the use of sound insulation tape. Thanks to the low built heights, floor-level installation is also possible with a limited construction depth. 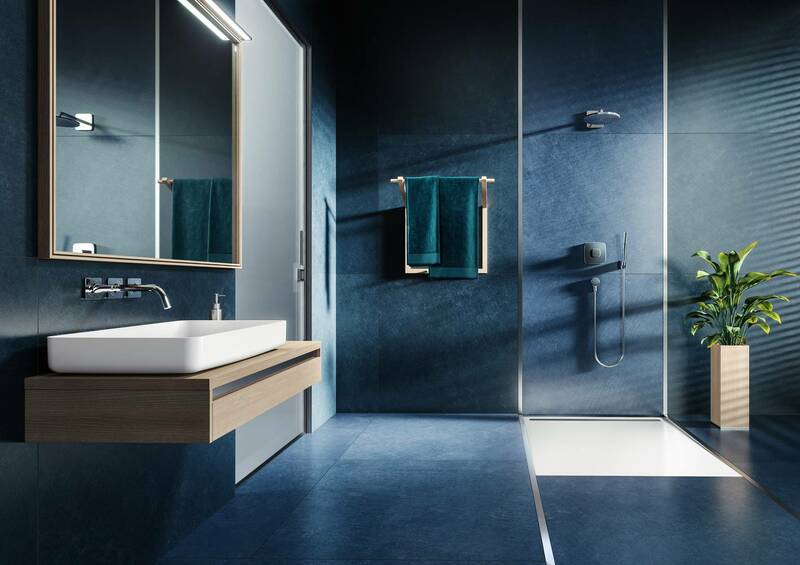 A wide variety of dimensions, innovative surface finishes, exclusive shades and stylish design covers – Kaldewei Nexsys offers architects and planners around 5,000 possible combinations for modern bathroom design. Recognised for its design excellence, the enamelled shower surface won the prestigious “Good Design Award 2018” and the “iF DESIGN AWARD 2019”, after being singled out as “Best of Best” for “Innovative Materials” and “Innovative Architecture” at the ICONIC AWARDS 2018. “Design at its Best”: The Kaldewei Nexsys combines the best of two worlds – all the advantages of an enamelled shower surface with the modern design of a shower channel. Products shown: Kaldewei Miena washbasin bowl, Nexsys shower surface with design cover in brushed stainless steel. Flexibility and individuality are key criteria for architects and planners in product selection. Large sizes in XXL format integrate perfectly into the bathroom’s tile grid. Product shown: Kaldewei Nexsys shower surface with design cover in brushed stainless steel. 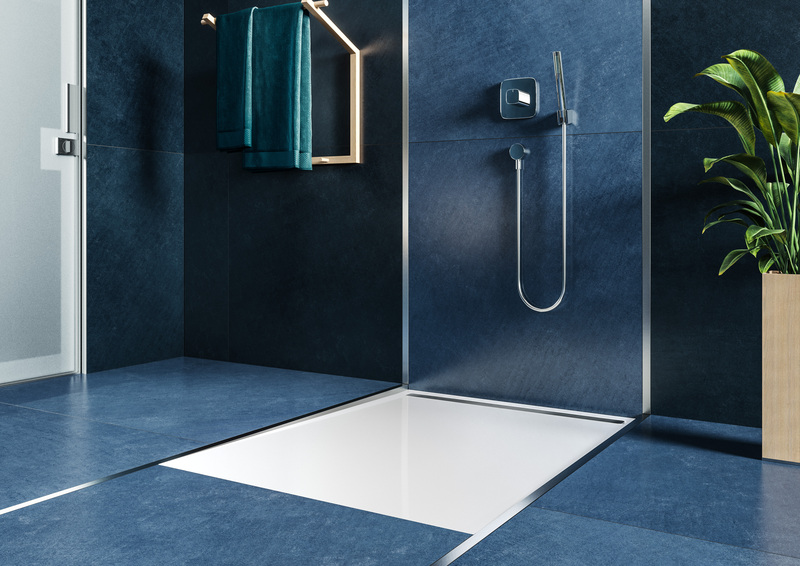 A characteristic design feature of the Nexsys is its narrow waste channel with a minimalist look that fits almost seamlessly into the enamelled shower surface. 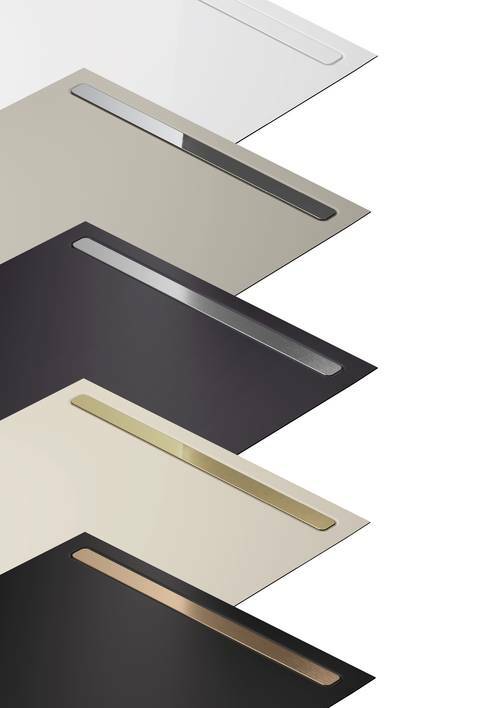 Four new surface colours for the high-end design cover accentuate the aesthetic appeal and quality of the exclusive waste channel made of Kaldewei steel enamel. With 16 new shades, the Kaldewei Nexsys comes in an impressive variety of colours: Four popular bathroom colours and 12 exclusive matt shades from the Coordinated Colours Collection, offering an even wider choice. Customers can now choose whether to integrate the enamelled shower surface harmoniously with the overall bathroom design or set it off as a centrepiece. As well as brushed stainless steel, the cover will now also be available in polished stainless steel, polished gold, brushed rose gold and alpine white.